My cake carriers get a lot of use. I not only use them to transport cakes and other goodies that I’m taking out of the kitchen to share with others, but I also use them at home to store my goodies and keep them fresh. Most cake carries are designed with cakes in mind – giving you a large, flat surface that can accommodate a 10-inch layer cake – but can be used for treats of all shapes and sizes. The problem with deviating from the standard cake size is that smaller baked goods tend to slide around in carries, which can wreak havoc on decorated cupcakes and cookies. Some companies have solved this problem by designing inserts to hold smaller goodies in place, however you may need multiple carries to take advantage of the different shapes and sizes available. 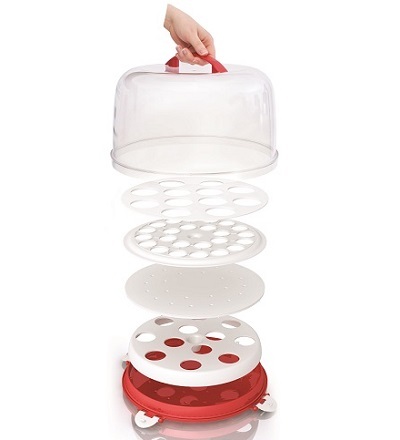 The Love Cooking Company Dessert Diva Cake Carrier is a carrier that includes a variety of interchangeable trays that can hold mini muffins, cupcakes, pies and even cake pops securely – all using the same base carrier. The carrier – which is 13.3-inches by 8.8-inches – has a slightly recessed base that you can snap any of the four included trays into easily. The trays pop out when you’re done using them or need to switch trays, and can all be stored in the carrier until you’re ready to do more baking. 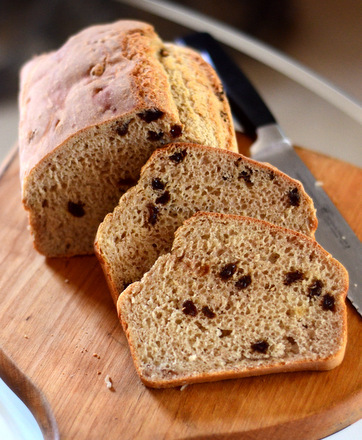 It’s a great, space-saving idea for bakers who find that they need to be able to transport a variety of different sizes of goodies, since it gives you so many options without requiring more storage space in the pantry.